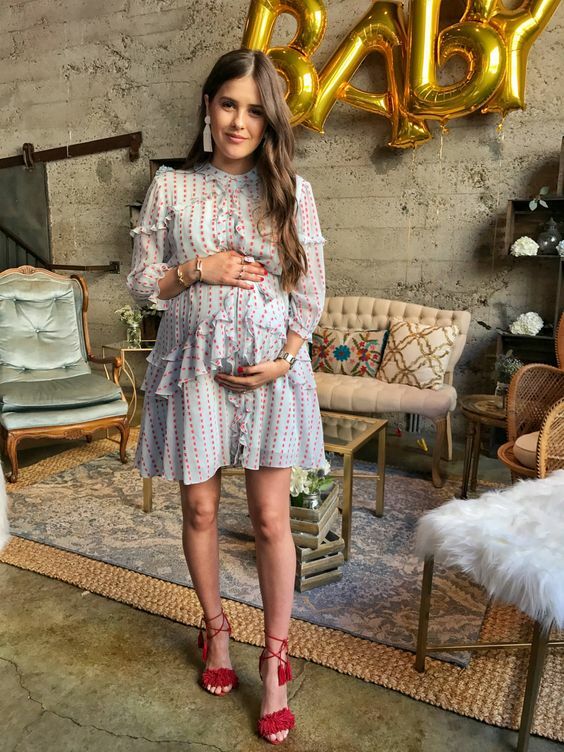 Getting ready for a baby shower? Then besides decor, treats, activities and stuff like that you’ll need a gorgeous outfit! 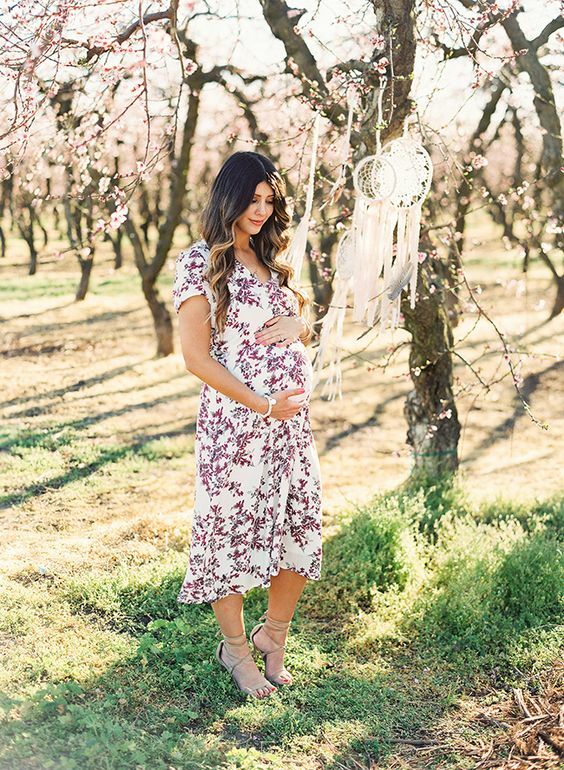 What to wear to a spring baby shower? 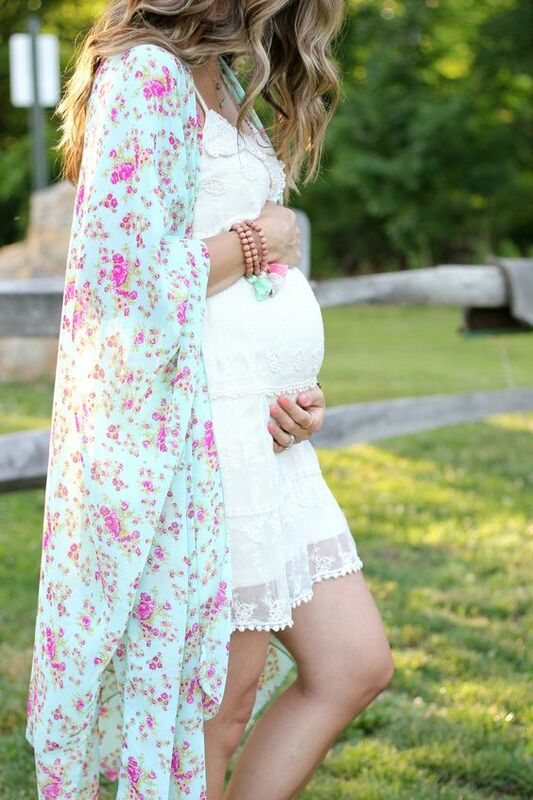 Most mom-to-be prefer comfy and feminine dresses, and I’ve prepared some cool ones that may interest you. 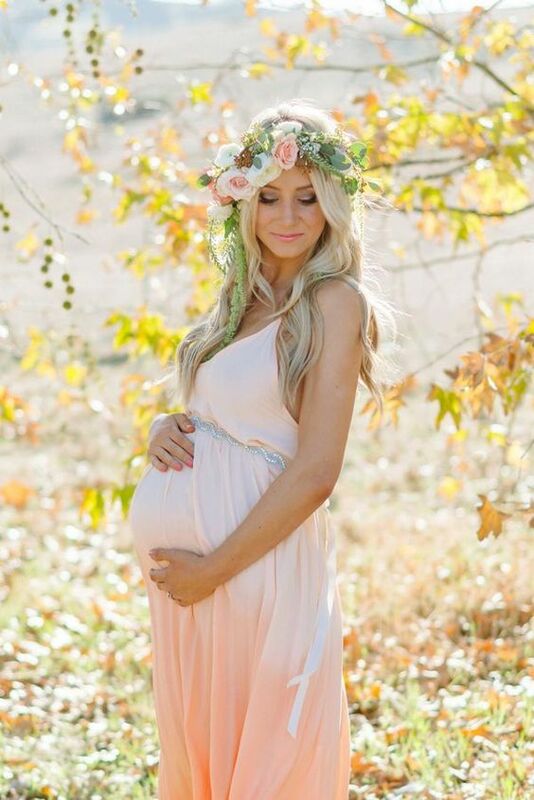 Wear a floral dress – it’s incredibly feminine and always a good idea, whatever your baby shower theme and style is. The best idea is an over the knee or midi dress, a wrap one will be a comfy idea, choose a cool neckline and cap or long sleeves. 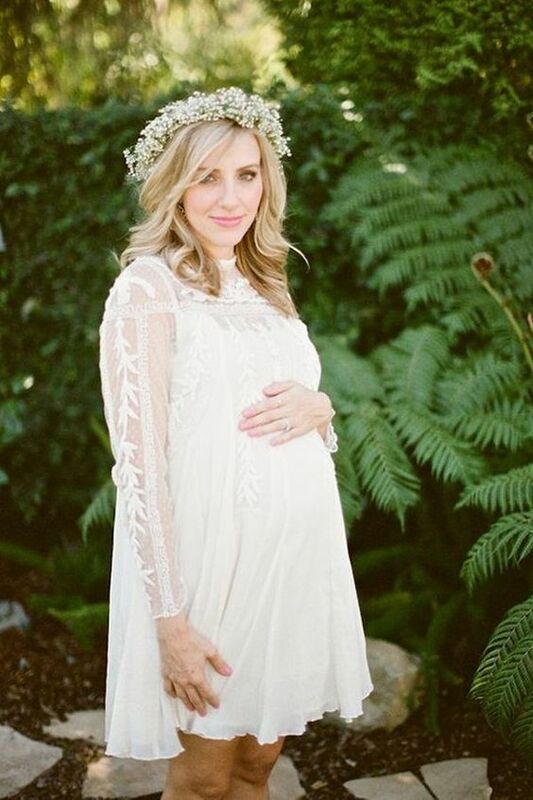 Lace gowns are perfect for girls of any age and looks, this is timeless classics, whatever color and look you choose. Blush, white, cream, powder blue or any other color is welcome, and to look trendy, you may go for an off the shoulder, a shirt or wrap dress and highlight the waist with a belt or sash. Go for a chambray dress for a relaxed and rustic look; try a chic pleated midi skirt plus one shoulder top for a chic look. 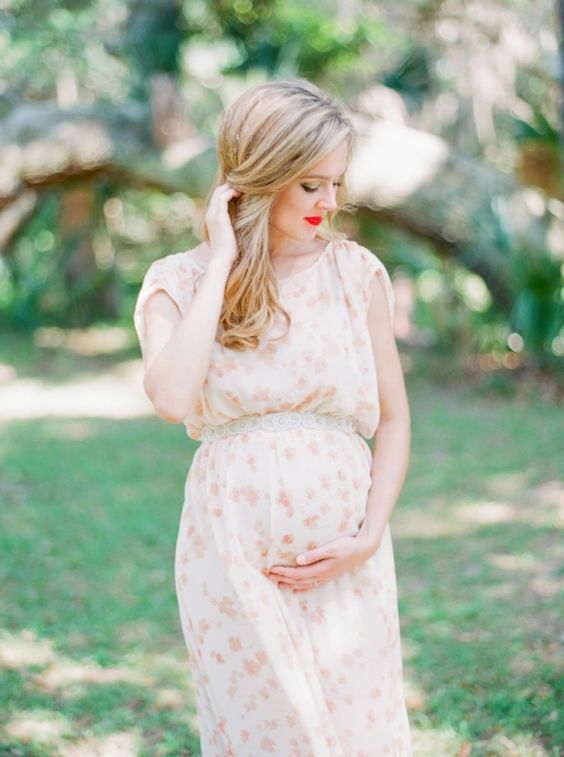 A shirt dress with slits is always a gorgeous idea and it’s very comfy for moms-to-be. Get inspired!